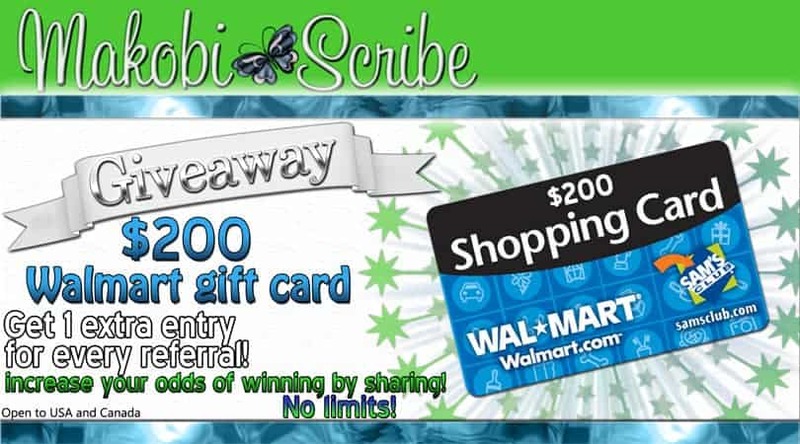 Makobi Scribe is giving away a $200 Walmart Gift Card to one lucky person! The giveaway is open to US & Canada and ends 7/19. Visit Makobi Scribe on Facebook to enter the giveaway! love walmart. could sure use this!